RV Camping is one of the best ways to see the beautiful land that stretches across the great state of Florida. When you go RVing, you want to make sure you get to some of the “hot spots” of this amazing state. One of them is Homosassa! Whether you are brand new to RVing or you’ve been at it for quite some time, this wonderful state park will amaze you and your family! If you are wondering what is so special about this park, keep reading to find out more information! The wildlife around Homosassa Springs, Florida is plentiful as well as exciting. 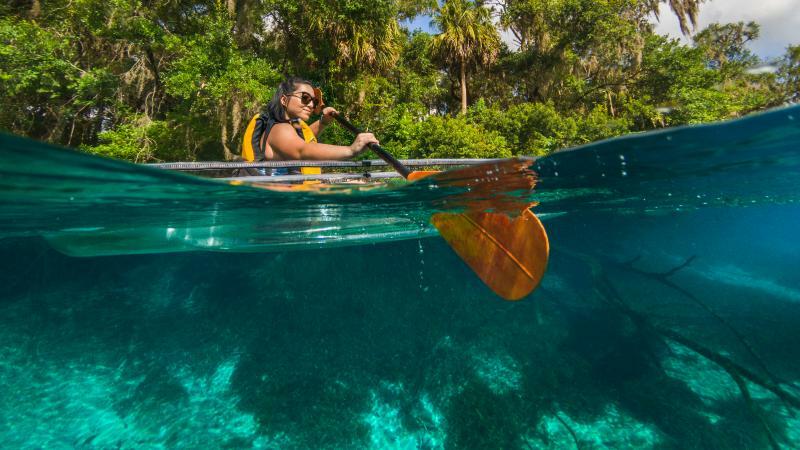 The local state park is one of the best places in the state to view manatees, marine mammals which are sometimes called “sea cows.” These beautiful creatures can weigh over a thousand pounds. They are well known for their size, shape, and playful swimming style. Seeing them in their natural habitat is something no one should miss! Other wildlife around this park includes black bears, bobcats, white-tailed deer, American alligators, and river otters! That’s a long list of exciting creatures to view in nature. RV camping doesn’t always have to be about luxury and comfort. Sometimes it can be about getting up close to nature and getting to know your surroundings. This park is an amazing place to do just that! Another creature many people travel far and wide to see here is Lu, the hippopotamus! 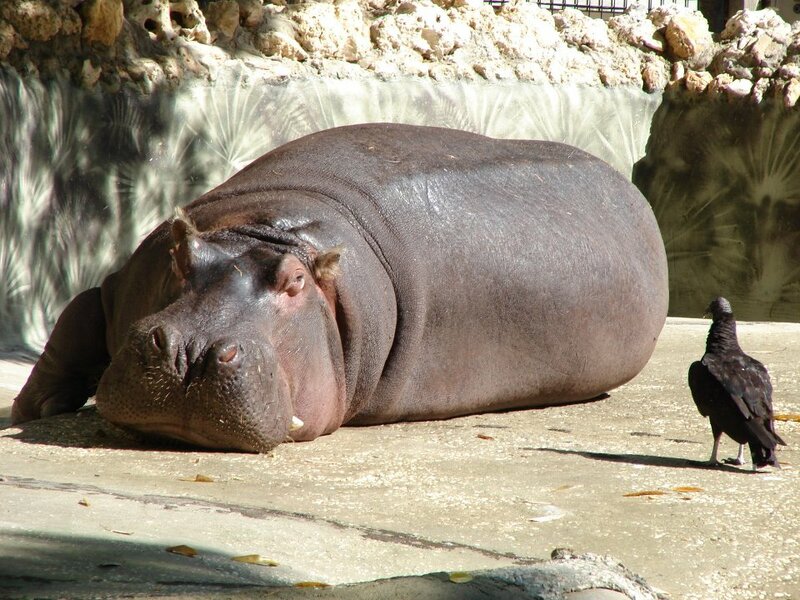 Lu is the oldest hippopotamus in all of North America! Born at the San Diego Zoo in 1960, he has been featured in several television productions and films throughout his life. Lu is the only animal featured in the park who is not local to the Florida ecosystem, but he considers himself a local, as he has lived in the park since he was only four years old! Be sure to catch a glimpse of Lu and take a picture while you’re at it! He is a staple of the park and a great exhibit for the whole family. When you drive a recreational vehicle, your outdoor activity options are limitless. This particular park has many choices for the outdoor adventurist or anyone who enjoys being out in nature. Whether you like to get wet and wild or you want a peaceful stroll through the scenery, this state park has something for everyone! As mentioned earlier, manatees are a popular attraction at Homosassa. One option for any adventurist is to swim with these beautiful and wondrous creatures. You can go snorkeling with manatees along the rivers and other bodies of water where they reside around the area. These local creatures are extremely friendly toward humans. As an endangered species, these animals might not be around forever. So take the chance to get to know them up close and personal by swimming with the manatees soon! If you enjoy boating or have yet to try it, you are in luck! Try a tour on a luxury pontoon boat or an airboat for a fun time out on the water! You can bring the kids along on these exciting rides through the local wilderness along the area’s major and minor rivers. A boating experience is yet another fantastic way to find and view the local manatees, only this way you will be seeing them from above! Another beautiful and breathtaking creature you can try to catch a glimpse of on these boat trips is the dolphin. People travel long distances to see dolphins swimming in formation and communicating with each other in their natural habitat. As extremely intelligent creatures, dolphins are a sight to see! Other boating options include larger boats for a bigger party of passengers or smaller boats like kayaks for single or double parties. Riding a kayak down the river is a wonderful way to pass the time and experience the local wildlife up close. Homosassa Springs State Wildlife Park is an amazing place to travel to in a recreational vehicle. This park creates a friendly environment with an exciting undertone making it easy for relaxing as well as fun for the adventurer in you. 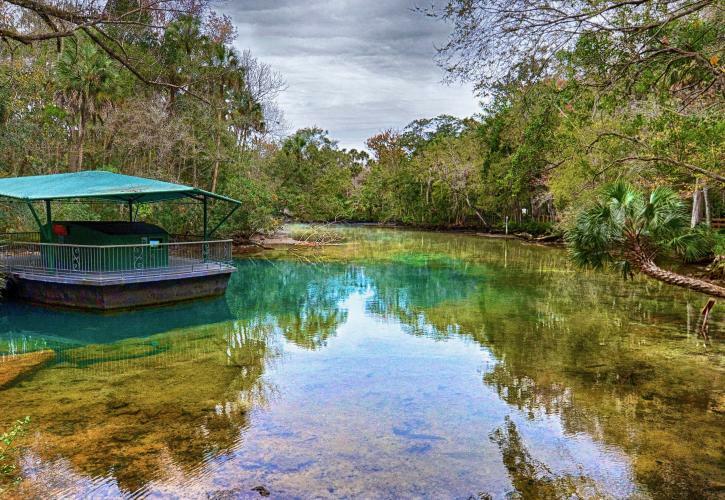 Be sure to check out this incredible park as you pass through Florida in your RV. You will not want to miss such an amazing experience. Check out the local wildlife and enjoy your experience outdoors while you’re here!